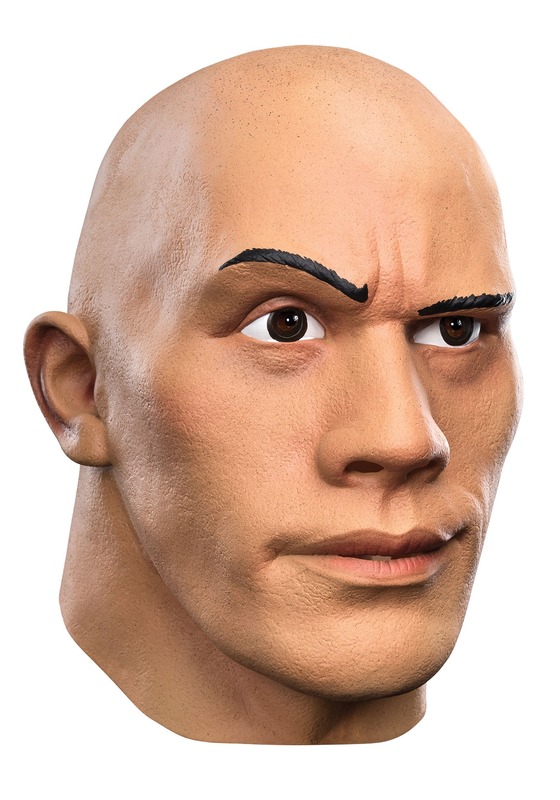 So The Rock, aka Dwayne Johnson, has moved onto to bigger things from WWE fame. (Well, blockbuster movies might not necessarily be bigger than starring on Monday Night Raw to some, but being a movie star and a household name goes a long way in celebrity cred.) But the fact remains, if you're wrestling fan, you've probably always wanted to give an opponent The Rock Bottom and the People's Elbow. But short of being born with a striking resemblance to Mr. Johnson, you might not have been ever to pull off a The Rock costume quite right. Well, with this mask, now you will be able to! 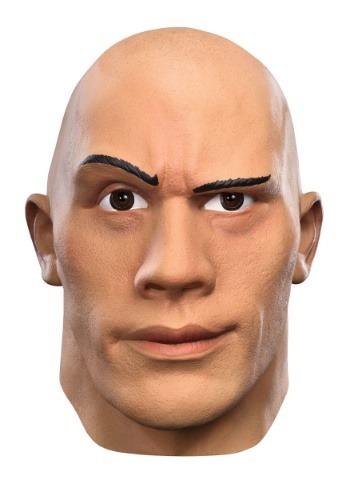 This detailed latex mask captures his face to a tee, right down to the People's Eyebrow! All you'll need to complete the costume is a pair of trunks and a temporary (or real!) Brahma Bull tattoo, and you too will be ready to check people into the Smackdown hotel. Layeth the smacketh down with this mask on, and the millions and millions of Rock fans will be glad you did!